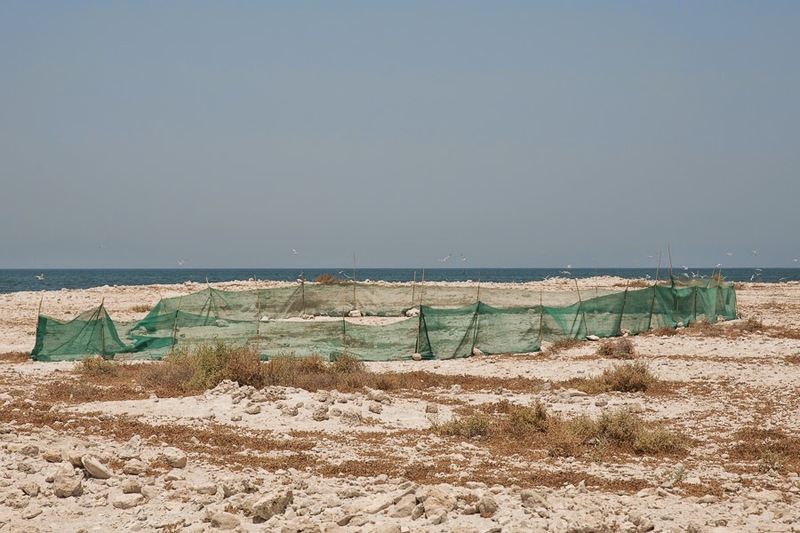 On Friday 20 June I set off at 02:30 hrs to go to Bahrain to ring terns. 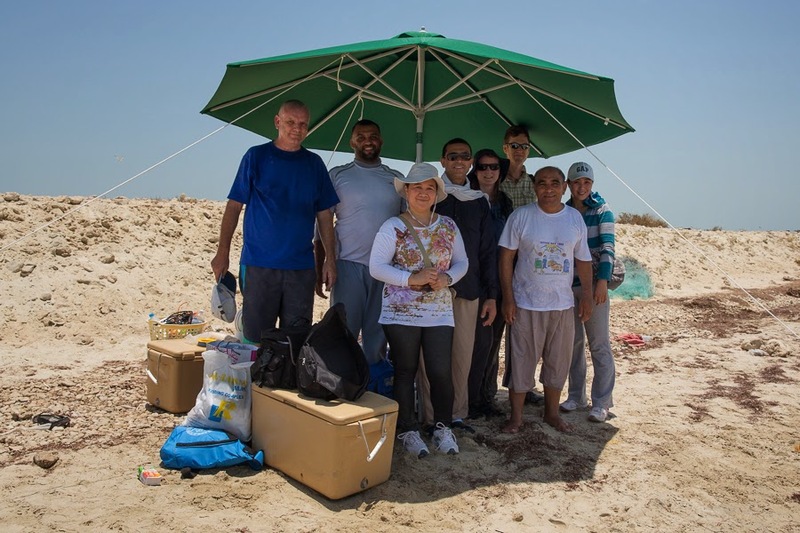 I met up with Jason, Nicole, Ali, Mahmood, Ahmed and a couple of others to go out to the island at 04:00 to ring tern chicks. This is one of the best days ringing of the year for me and it is amazing to be on an island full of breeding terns. 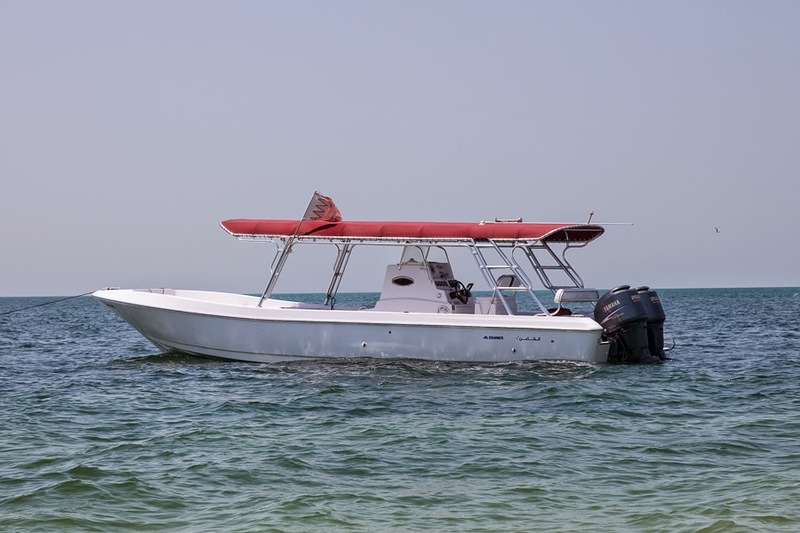 Ali has a new more powerful boat now that he also uses to take people diving in Bahrain and it has two 250 HP engines and a covered roof, so is very fast. We arrived at the island at 06:00 hrs and set about first ringing Bridled Tern chicks. They nest under cover of the vegetation and are incredibly well camouflaged and sit tight so good eyesight and a lot of help are required. We do these first as it is extremely hard work and want to do it in the coolest part of the day before temperatures rise into the 40’s Celsius. 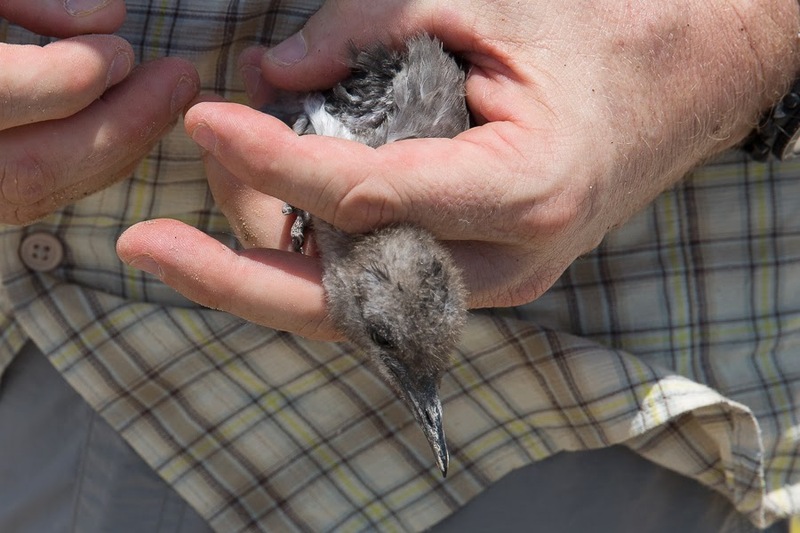 There were three ringers and we ringed a total of 143 Bridled Tern chicks that is slightly less than normal. 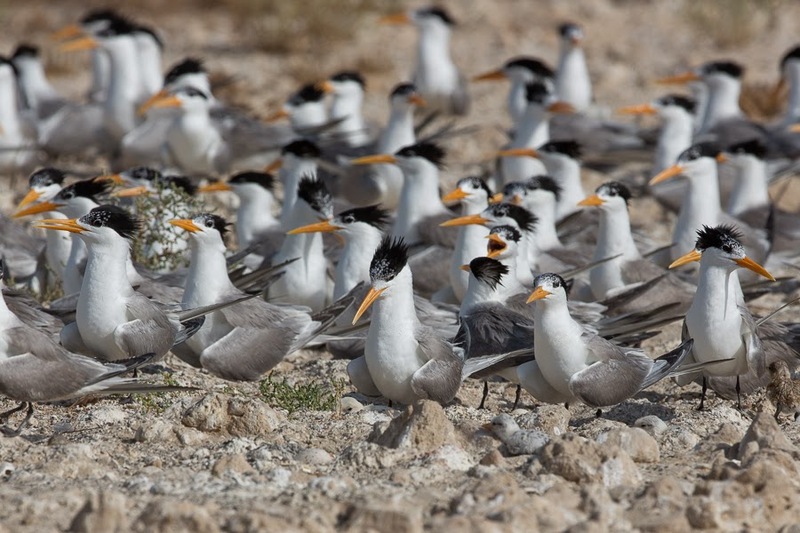 After this we set up our corral to catch Lesser Crested Tern Chicks that are all gathered together in large crèches of baby terns with hundreds of adults looking after them. As they are all in large groups we walk the birds down into our corral and transfer them to large baskets for processing. 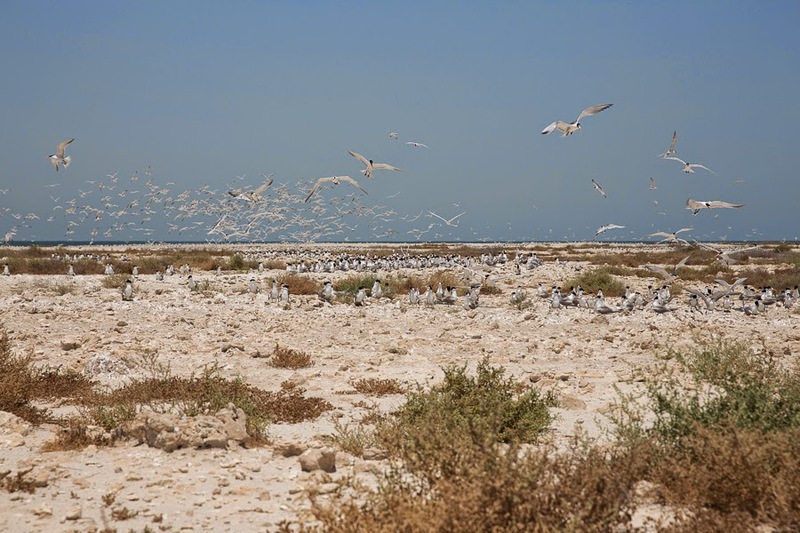 Since this capture technique was devised we have become much more proficient and we catch lots of birds in a short time and process them as quickly as possible so they can return to their parents for shade. We keep the birds in covered baskets with a wet towel on top to keep them cool and we have not lost a single bird doing this. 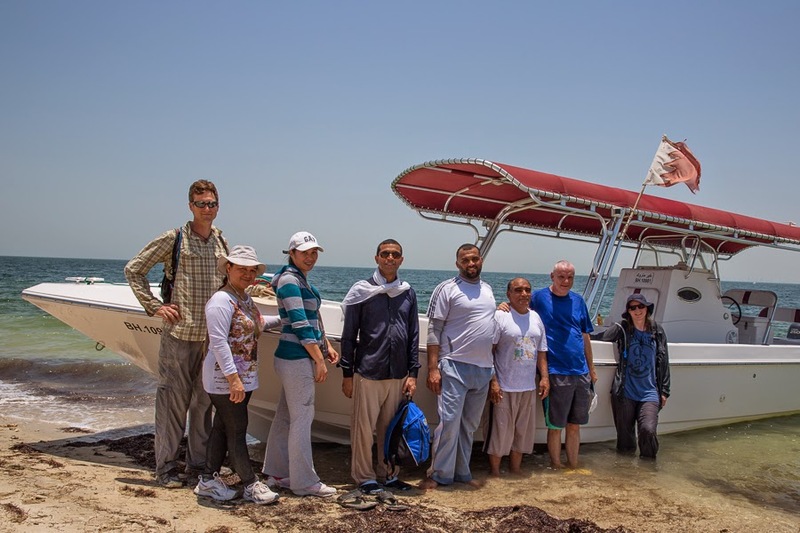 We ringed 997 Lesser Crested Tern chicks and ran out of rings, this being the biggest number of birds we have singed in a single day since we started going to the islands. We also ringed three White-cheeked Tern chicks a species that has not bred on this island in the previous three breeding seasons I have visited. They do breed on the middle island but we have only been here once and it was a nice surprise to see the adults feeding young on the south island. 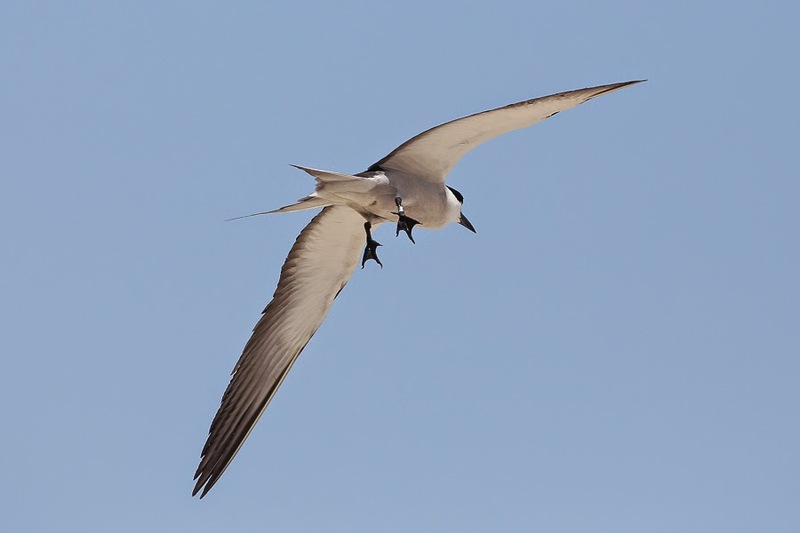 Another nice surprise was to see an adult Bridled Tern I photographed with a ring on, indicating it is one of our birds. We have ringed hundreds of young birds and a single adult that Nicole rescued from a fishing net so it is impossible to tell if this is a young bird returning to breed or not. 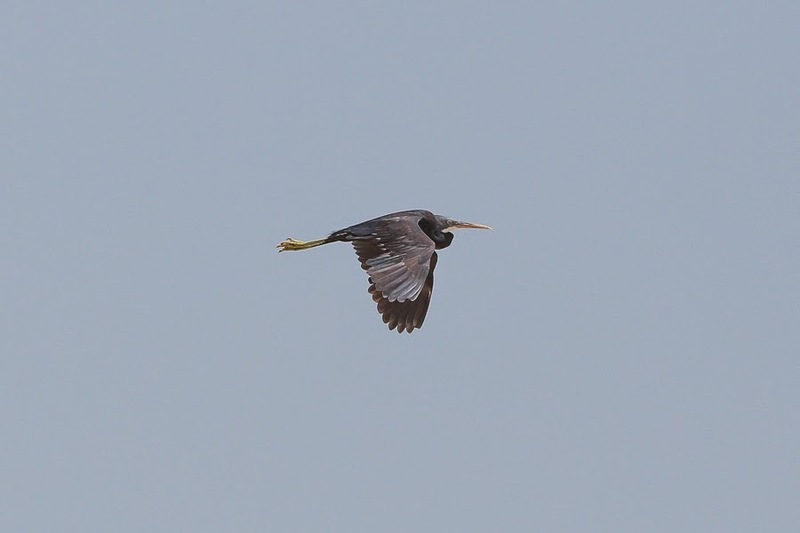 We also found at least ten Indian Reef Heron nests with large young in them. Normally there are only one of two nests but this year the numbers are much higher so some reason. 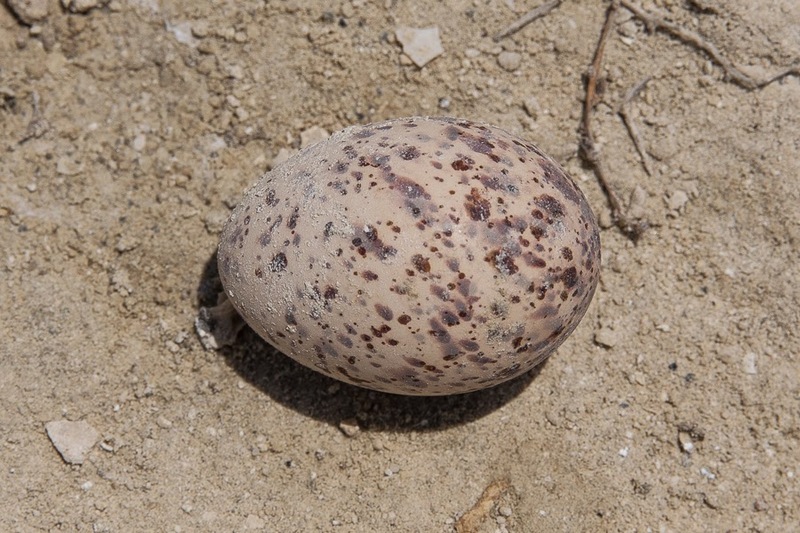 An interesting fact was that under every Indian Reef Heron nest a Bridled Tern chick was hiding. I would like to thank Ali and all the helpers for this excellent days ringing. great work and ur team looking good! !